I am a kale loving Canadian dietitian and nutrition blogger from Toronto, the place where I’ve lived my whole life and also home of worldwide rap phenomenon Drake. My life revolves around nutrition! I tell people what to eat in person, I write about what to eat on my blog and social media, and if I’m not doing one of those two things I am probably thinking about what I’m going to eat myself. I also happen to love playing and watching soccer. 2) Hypothetical situation: An overweight 30-year-old male with no cooking skills (and no interest in cooking) who gets takeout every night, comes to see you with a goal of weight-loss. What are the first options that you would most likely to look at? Instead of spending time worrying about what he isn’t willing to change (in this case cooking meals), I’d start off by figuring out what he IS willing to change, and go from there. That could theoretically involve a re-examination of his current take out options and figuring out what we could do to make better choices. 3) Say that man is willing to give cooking a go – what are some of the first options you would look at that will likely improve the nutritional quality of his diet? That obviously depends a lot on the individual as everyone brings a unique set of attributes and challenges to the table. Simply roasting things such as protein (meat, tofu), potatoes and veggies are usually the place I start. Raw veggies such as spinach, kale etc are very easy as well, as is cooking whole grains like rice/quinoa. Those would be my starting points. 4) Is there any nutritional advice that you give which often surprises people? When I tell people they can eat all the fruit they want (slight exaggeration) they are usually blown away that I am not concerned about “all the sugar” in fruit. 5) Are there any key stances that you take on any topic that you think is counter to what most other dietitians think? Nothing explicit but obviously my business is largely centred around healthy eating and weight management and there are many who believe that too much emphasis and focus is placed on weight as a number. Quite honestly, I totally agree with that and I always let my clients know, even if they are there to lose weight, that being weighed is optional. With that being said, my experience suggests that when people make professionally-guided dietary changes to improve their food choices, they tend to lose weight (if they have it to lose) whether it is a main goal or not. 6) What are your thoughts on the UK’s introduction of the sugar tax? I am honestly impartial and not really that well informed about that situation however if it proves to be an effective means to reduce sugar sweetened beverage consumption in youth, why not? If it proves to have negative unintended consequences, that’s a different story. I am sure the effect of its implementation will be diligently monitored, love the brits! 7) With most people not consuming enough vegetables, what are some of your practical strategies to help them increase their intake? Time constraints are a massive barrier for my clients, so I will often defer to raw vegetables (aka salads) as a starting point. Keeping mixed salad greens around with easy to prepare veggies like tomatoes or bell peppers is a great way to ensure a nightly veggie intake for vegetable beginners. 8) Australia’s Dietary Guidelines separate fruits and vegetables into different groups (recommending 2 and 5 serves respectively) while Canada’s Food Guide groups them together. Do you have a preference either way on this topic? I’ve written on this topic before actually and I like the way the Aussie’s do it better. I think our food guide needs to be more direct in identifying the value of vegetables above fruit and that simply eating a lot of fruit won’t quite give you the same benefits of balancing the intake of the two. Is there anything else you would like to add to wrap up the interview? 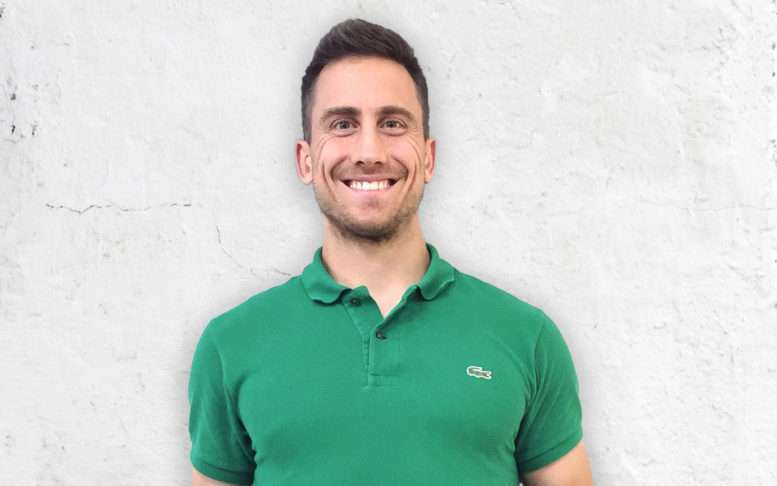 Andy De Santis is a Canadian dietitian based in Toronto who specialises in helping people improve the nutritional quality of their diets and helping people to reach their health goals. If you would like to learn more about him he can be found on Instagram @andytheRD or you can check out his website and blog.